Building enclosures, also known as building envelopes, are a design concept that is used to make it easier to heat and cool the area inside a building, manage water, and control the flow of air. They consist of different features above, below, and along the sides of the house. This is not the same as the thermal envelope, which is the insulation system surrounding a building. 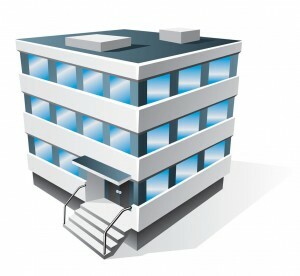 Well-functioning building enclosures work best when designed in the planning stage of a building. However, it is possible to retrofit some of the modern protective concepts into older homes and commercial buildings. Here is a look at the features of a building enclosure, and the job that it performs. Building envelopes include several features, including the roof, the wall and windows above ground, the walls below ground, and the base floor system. They include all of the layers of matter surrounding a building, from the outer siding to the wood or drywall to wallpaper. They even include the deliberate air gap between window panes. For more information on building enclosures or to learn more about insulation, contact USI online to find a branch near you and get a free quote. USI believes in excellence in every step of the process and ensures timely completion and quality of service, time after time. ← What is corporate sustainability?